The book that you hold in your hand contains the papers of an International Scientific conference which was organised for the 70th anniversary of the Foundation of the Transdanubian Research Institute, the predecessor of what is now officially known as the Transdanubian Research Department. The “idea” of the conference was actually formulated decades ago, since in the Transdanubian Research Institute the celebration of anniversaries was and remains a tradition. The current anniversary, however, is crucial for several reasons. Both external and internal factors indicate that the conference in Pécs on the 27th and 28th of June 2013 will not simply be a statement of the state of art but also a milestone in the life of the organisation. 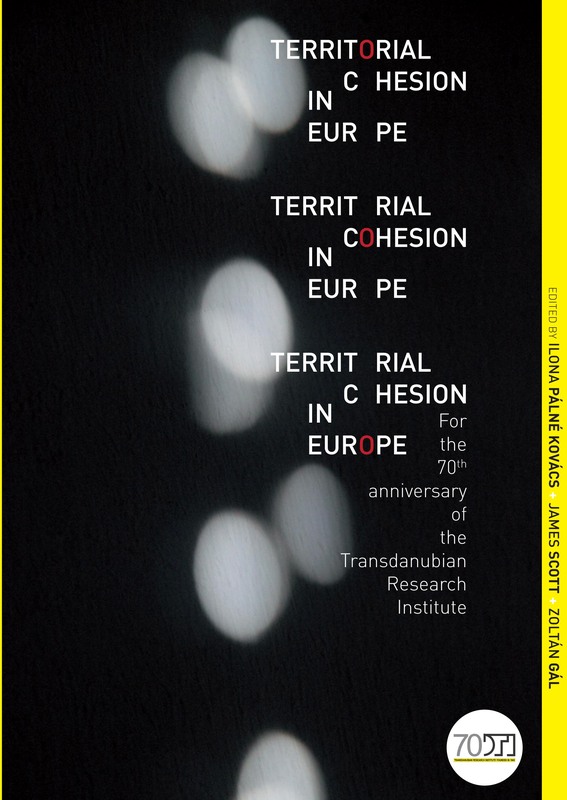 Even the title of the conference, “Territorial Cohesion in Europe”, indicates that the basic research direction of our research organisation remains focused on the region and things regional. During the conference and in the volume composed of the selected presentations, we will to discuss the following issues: theoretical questions of regional science; regional development and regional policy in Europe in particular in the Central and Eastern European countries and the Balkans; factors of regional competitiveness; aspects, interpretations and measurement of territorial cohesion; trends and new methods of governance; European cohesion policy and its finance; the urban–rural relations and development. These presentations also reflect the turn that is taking place today in the area of territorial cohesion. We should no longer think in terms of the East and West and new and old member countries. The geography and the content of European territorial cohesion can be interpreted in a more nuanced manner. We would like to contribute to a more differentiated and targeted European and national cohesion policy with our research revealing deeper and more complex interconnections. The volume in your hand contains the presentations of various approaches and interpretations of territorial cohesion which often conflict with one another. However, there is a certain point in common, namely the linkage between the authors and the organizer, the celebrating Transdanubian Research Institute and its staff. I am confident that this event will generate many meaningful debates and new research directions, and indicate research directions for the new generation. Through maintaining and extending institutional and personal relations we can contribute to forming a stronger research community of international regional studies. The Transdanubian Research Department would like to remain an esteemed member of this community. Thanks to all the organisers and participants for their personal activity in supporting the success of this effort.